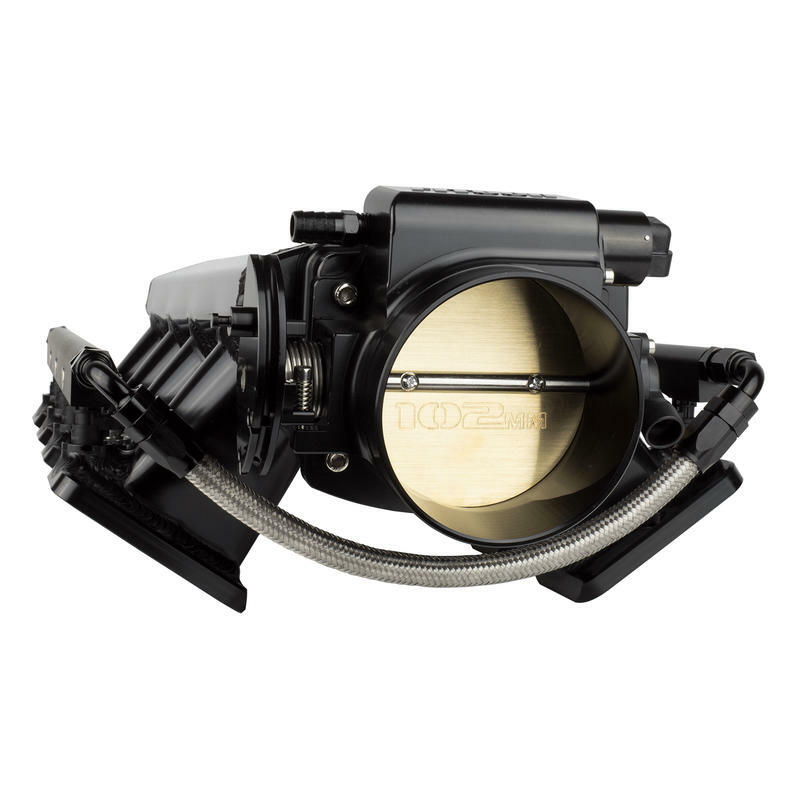 Low profile, 102mm inlet, Fabricated 3mm thick aluminum sheet metal TIG welded intake manifold with 1500-6500 rpm power-band up to 750 HP to the flywheel and contains a 3 BAR MAP sensor for power adder applications that supports up to 30 PSI of boost. Self-learning ECU with touch screen controller for easy setup and configuration. Sequential fuel and spark control with individual cylinder trim. 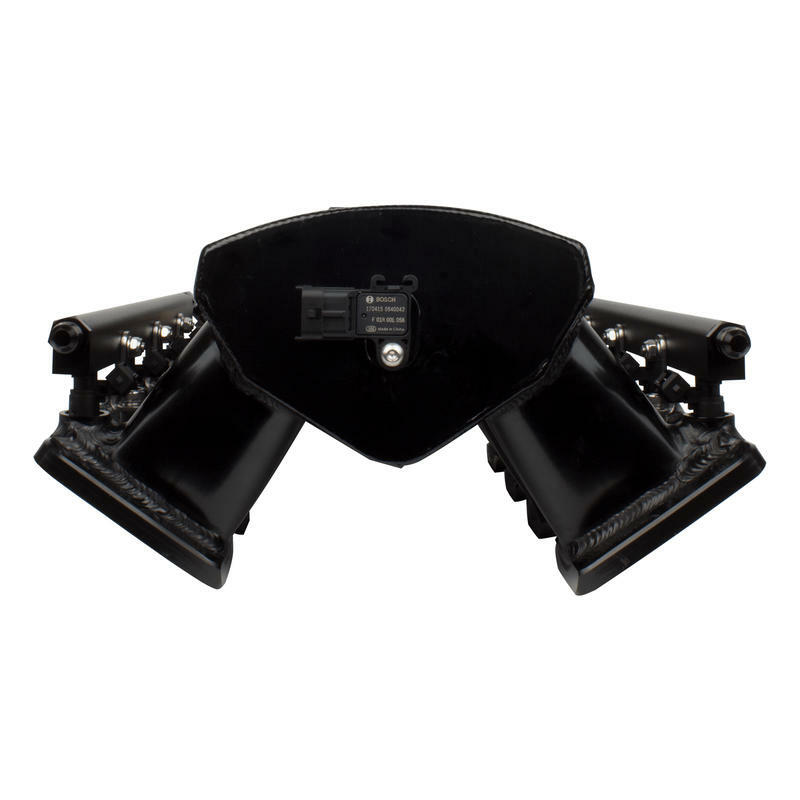 Dual Bosch wide band with dual trim control (Self-learning). 24X and 58X crank and cam compatible. On the fly programmable target AFR and timing (if desired). 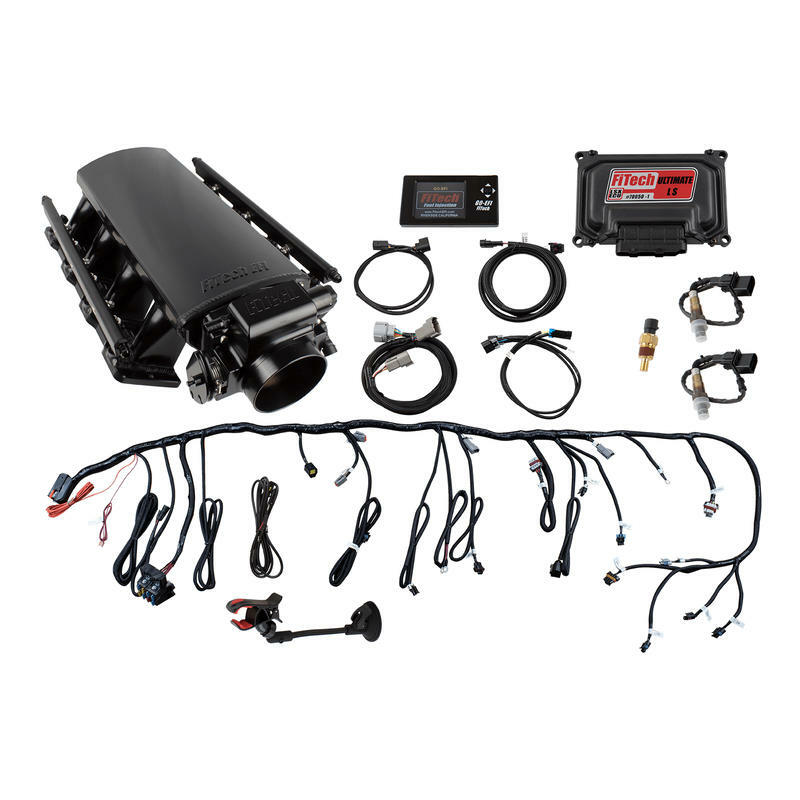 FiTech’s black anodized Ultimate LS3/L92 750HP Kit combined with an Inline Fuel Pump fuel delivery kit are a complete self-tuning induction systems for LS engines designed for the do-it-yourself hot rodder to the professional EFI tuner! This system is ready to go with everything needed to complete the induction system of your LS engine and get you on the road easily and faster than any system on the market today. Forget sourcing mismatched parts and cutting and splicing old harnesses and re-flashed ECU’s from “Craigs List” tuners. 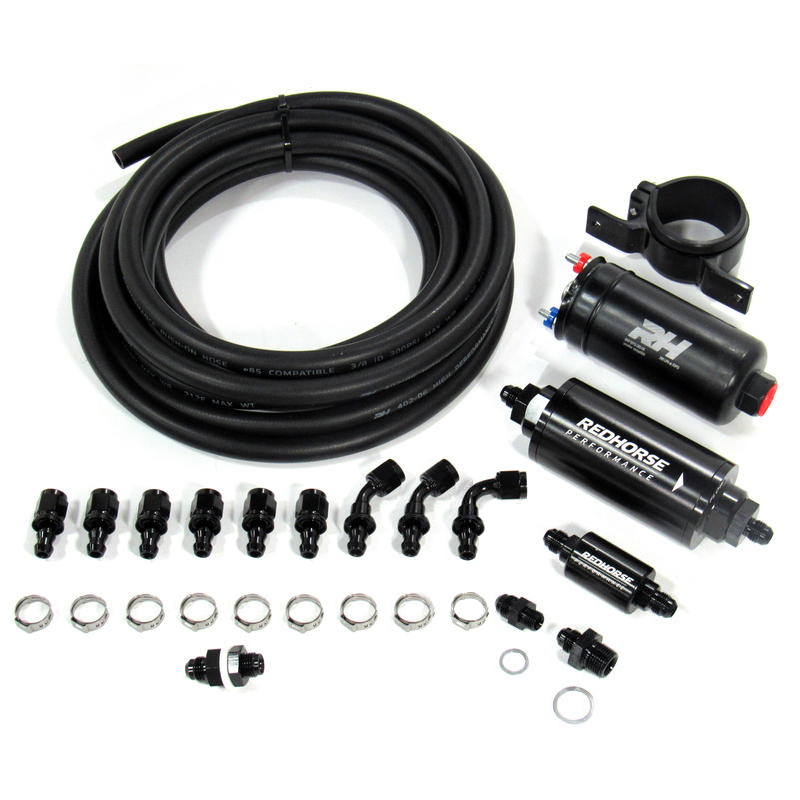 The Redhorse Inline Fuel Pump Fuel Delivery Kit includes an EFI grade 280 L/PH inline external fuel pump that is suitable for engines making up to 900HP (Note that some EFI kits are limited to less than 750HP due to maximum usable injector sizes). 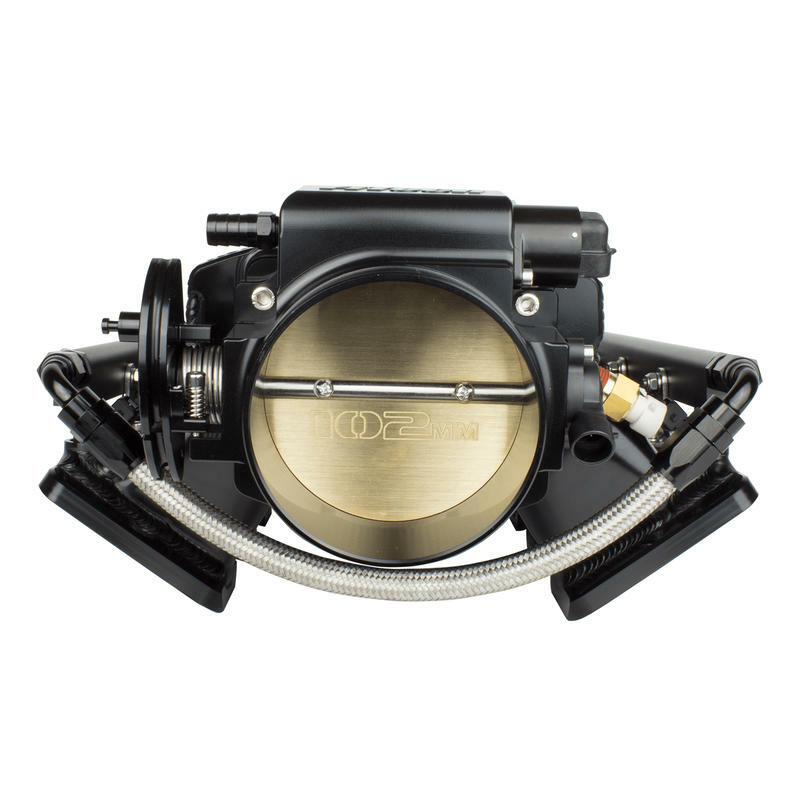 This kit also includes 20-feet of EFI grade fuel hose suitable for both the inlet and return lines between the fuel tank and the engine. 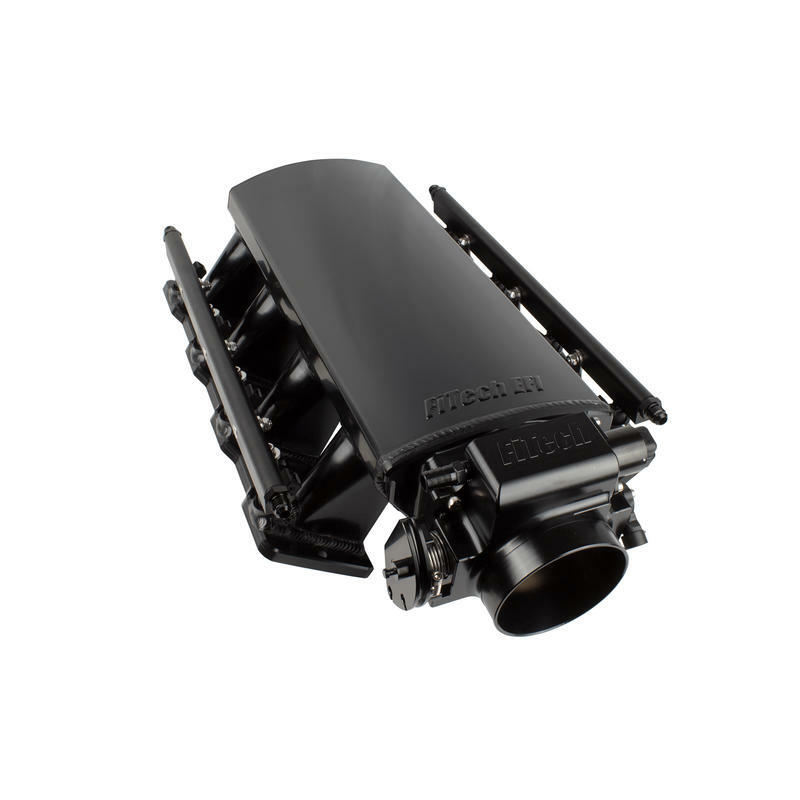 The kit includes two billet fuel filters. The filters include a 100-micron pre-filter and a 40-micron post filter. High pressure EFI grade hose and the hose ends are push lock style for easy assembly.